Andrew Jackson is one of my favorite Presidents. Jackson’s Indian Removal Act, ownership and right to own slaves politics keep him from the top of my list. Despite the blemishes of an over zealous race supremacist, Jackson had a great deal going for him. First Jackson was one of the founding members of the Democratic Party, which purpose was suffrage to allow even non landholders to vote. Then, of course, Jackson refused to charter the Second Bank of the United States, and finally Jackson believed that the president was the only representative of all the people and therefore should make choices to the benefit of all. I have to focus myself today on the banking specifically. (I could write 3 articles at least on Jackson) Today the United States is in a precarious position, we bailed out, and allowed major banks to merge, forcing them to become “Too Big to Fail”, We’re faced with a “Great Recession” and possibly a world crisis as European banks begin to fail, and the weight of the welfare states of Italy, and Greece drag the rest of the European union down. We have a banking system built upon a Federal Reserve which is neither controlled by congress, nor even allowed to be audited by congress. The Right is pulling ever more Conservative as the Tea Party vents frustrations over our own welfare state, the bailing out of banks, and what they perceive as a move towards a socialistic economy. The Left meanwhile attempted to galvanize with the Occupy Wall Street Movement, moving into public spaces and attempting “pure democracy”, all this over big banks, corporate bail outs, and what they perceive as a move towards a Corporatocracy. So, whats the solution? Ending the Fed? Returning to the Gold Standard? Regulating the Market more? Should we dump more money into the recovery hole? Are we supposed to tax the rich more? end the loopholes in the taxation process? There are a lot of questions, and a lot of theories out there. Sometimes what seems best is in fact a short route to ruin. Oh, certainly we don’t want the rich getting richer, but we don’t want our country living with a deficit so large it can never be paid off. (Btw Andrew Jackson was the only president to pay off our national debt, and give us a surplus) I’ve been studying the economy more and more recently, of course there is the Keynesian model- keep money flowing no matter what! and the Hayek model which is basically to tell the government to GTFO of our economy and let it flow naturally. There is thought that Welfare allows for more purchasing power in the bottom class, and therefore more of an ability to move upwards. And then there is discussion that when you give the poor money they don’t ever work to not be poor. It’s also challenging to even begin to understand what our monetary system should be based on. Gold worked out well, but even gold has its inherit flaws being an inelastic currency. Fiat Currency also has advantages, it can be expanded when needed, and therefore it can be injected into the market, through bank loans. The question comes down to why we need an elastic currency, is it due to population growth? Is it due to lending practices? When you come to understand economy, you come to understand banking (We should all just join Credit Unions BTW) See, the Fed doesn’t always make the money, in fact the Fed is a reactive branch of government increasing or decreasing it’s supply in order to balance with the loans that have been made by other banks. ok, here is what I’ll do, I have found a few interesting videos I’ll post in here so you can get an idea what I’m talking about. Beyond that, what’s my point? I bring up a LOT of questions, and there aren’t always answers, but this is what I’ve seen. I have heard a great many people saying they want more regulations on banks, and in an economy based upon a Federal Bank controlled by private individuals why wouldn’t we? Andrew Jackson didn’t like banks, and so he refused to sign the charter on the Second National Bank, in turn it became a state bank, and currency became the realm of the individual bank. With each bank printing it’s own currency and very little oversight a bubble grew, and in 1837 it burst. After a recovery the banking system stabilized, and voila we had a working free banking system- actually OK, we didn’t. see now that the bubble had burst, most banks were chartered by the separate states, with up to 700 chartered banks at one time! Now banks were regulating themselves, and some of them were lending improperly, guess what? Just like with our situation those banks were in danger of failure, but the federal government did NOT step in and save them. so banks failed a hell of a lot more often, but this was advantageous, see with such a high failure rate, few banks grew to any meaningful size, and those that did, did so because their managers were responsibly lending. Now this instability wasn’t exactly the best thing for the consumer, after all you could have money in your pocket and within 24 hours it could turn into worthless paper. Some regulation is in essence necessary, but how much? the more we regulate, the harder it is to become a bank, or on the business side, it becomes harder to start a company, and with tax loopholes, and licensing fees, small business are bound to fail when going up against corporate giants. John Q. Adams was the son of our second president John Adams, and perhaps one of the most qualified men in the history of the nation to hold the office. John Q was secretary to Ambassador Francis Dana by the age of fourteen, at 26 he was ambassador to the Netherlands, besides his father having been president, John Quincy was secretary of State to James Monroe, and soon after ran for the presidency. It would have been a nearly flawless election, but this was to be historical not because of Adams, but because of Adam’s primary opponent, Andrew Jackson. You see, John Q Adams was the kind of man many of the founders had in mind when writing the constitution, but the man of the people, the man who gained the popular vote in 1824 was Jackson. Adams ended up president due to a four way race which threw presidential selection to congress. 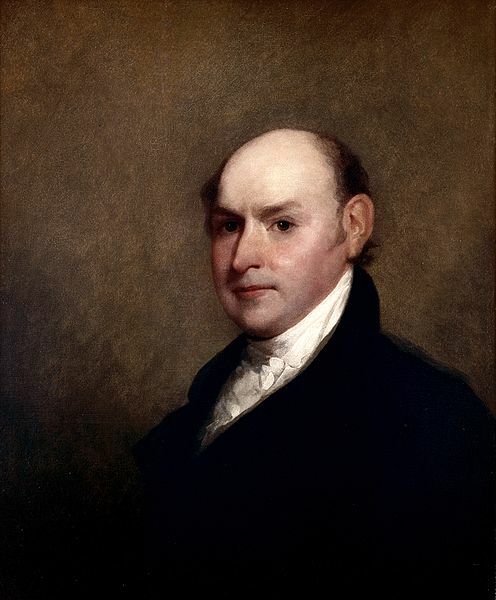 It was at this time that John Quincy made his “corrupt bargain” according to Jackson, striking a deal with speaker Henry Clay to trade the presidency for secretary of state (a position seen as stepping stone for the presidency). Of course Jackson returned 4 years later and won the presidency, but for the first time America was given a president instead of popularly electing one. This brings me to the point of this post- our Government is NOT a Democracy, not a pure Democracy anyway. During the first 50 years politicians referred to America as a Republic. Our government was designed to be a mix, a Democratic-Republic. Now, I want you to think about our government and founding fathers, why would they choose to create a mixed government? Why did they create an electoral college? Why did they originally have senators chosen by state legislature? And why did we change it? Why have we not booted the Electoral College? Well, as those of you who have been following my blog hopefully realized by now, our government, for good our bad, does not function as intended. The original goal of our government was a balancing act, between the Alexander Hamilton Federalists, and the Democratic-Republicans of Thomas Jefferson political theory as to how the people would best rule themselves was split. Pure democracy is slow, mob rule becomes the norm, and the common man couldn’t read, let alone understand the subtlety of economics, or the complicated international scene. Likewise, republics created a self-perpetuating government where the elite ruled. They are prone to dictatorship, and unpopular government. A combination of the two could lead to the worst of both, or the best of both. The power of one branch over another allowed for checks and balances, the power of the state legislators to choose senators allowed the states to retain power for themselves, create a barrier so the federal government would not attempt to legislate away the citizens’ rights. The Electoral College was created as a buffer to allow the citizens to choose people whose opinion they trust to select our president. These decisions were made in a political vacuum where there was very little existing government to compare or base this Democratic-Republic idealism on. I think there were some flaws though which led us to where we are today, and which allowed for the “stolen election” of 1824, and the “mess” of 2000. If it were up to me I would have kept the selection of our senators with the state legislatures, the house of representatives is the voice of the people, the Senate is supposed to be the voice of our states- remember, our state governments are selected by us, we are already saying we trust their judgment (at least more than the other guy) but allowing the senate to be selected by state legislatures gives the Senate a reason to keep power with the states. I think the state legislatures would be able to assess the legislation of the senate, and judge whether or not power is being taken from the individual states. I think that when it comes to the Electoral College, we should either never have formed one (as they call for now) or we should realize why it’s there, our founding father’s wanted to temper the public zeal with refined controlled intelligence. The Electoral College should be a position that those who seek the office should campaign for, by telling us what they are looking for in a candidate, and then choose based upon their own standards. Now I’m telling what they should have done in the first place in order to have a smoothly working democratic republic, but that isn’t the route that was chosen do not think I am advocating we move in the direction today. 1) Give the selection of the senate to the state legislatures, it is better some times that we aren’t a pure democracy (OWS showed us how slowly pure democracy works) and public selection of our representatives actually strengthens the power of the federal government over state/local government. 2) End the Electoral College, if we are going to vote on our president, our votes had better count. 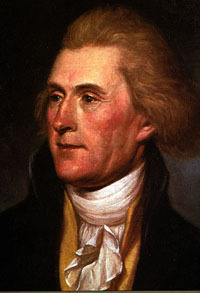 The Fifth President, the last of the “Virginia Dynasty”, the last Founding Father to become President, and residing during the “Era of Good Feelings”. All of those titles, and how many of you actually know about Monroe? 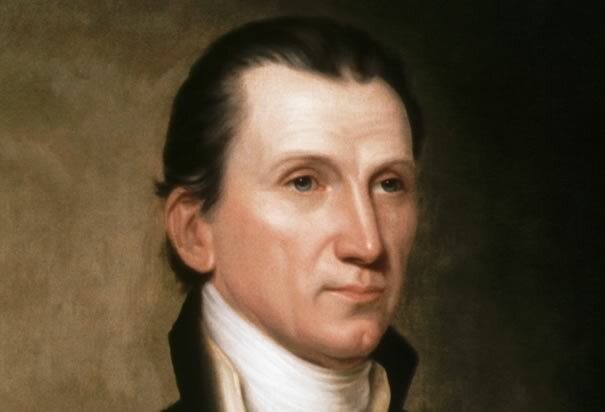 You may recognize his name (albeit slightly less than the preceding James M.- Mr. Madison) Indeed Monroe, in his time was widely popular, thought to be very handsome, and for his first term presided over an era of expansion. Monroe ran virtually unopposed in 1820, and began his second term on a presidential level only matched by George Washington himself. Monroe Was a military man, having fought during the Revolutionary War as a major, injured during the Battle of Trenton. Monroe understand that our country should strive for peace, yet be prepared for war, or as good ol’ Teddy Roosevelt put it, “Walk quietly and carry a big stick.” The Monroe Doctrine ironically an idea of Monroe’s successor, John Q Adams, has been one of America’s primary military, economic, and social strategies since it was written. Here, with this quote, we see a somewhat “different” side of the Monroe Doctrine. It falls with George Washington’s warning not to “Get involved in entangling alliances” and Adams pressure not to fight on either side of the French Revolution. How does it affect us today though? I’m sure some people will assume I’ll take one side of the argument, a few may see this as my standing on the opposing side. The truth is I stand firmly with Monroe here, and in the middle of the US Military Debate. Having been in the Navy myself, and currently a disabled veteran, I certainly have to say that there are many things our military does right. Offering education after service (though still going through reform solutions to perfect the process) is almost unheard of. Housing benefits, and benefits for spouses have become the most advanced in the world. Our military has the most up to date technology, and training unmatched in most military organizations. During the Constitutional Convention, there was a proposal to limit the US military to 5000 men, George Washington sarcastically suggested we also limit invading armies be limited to 3000. Military strength in the United States has always been a bone of contention. There are those who want us to have a small army, and those who push to increase our spending, and our presence worldwide. There are lessons to be learned from history though. Certainly US history has a great many lessons we would be sorry to miss, but then we can learn lessons as a nation from elsewhere as well. Germany, after the First World War was given strict sanctions to follow. Their army was limited, not just in troop size, but also in Officer count. They were forced to give up many of their advancements in weaponry, including Tanks, Planes, and Gas. This was done by the French, and British along with heavy monetary payments out of hope that Germany would never again be able to start a war. Germany began World War Two with a list of battle successes, including the defeat of the French Army in a remarkably short span of time. How they did so has had some academic study, but mostly it has been attributed to Blitzkrieg. The real question should be not how this occurred, but if Germany has no planes, or tanks how did they form strategy for Blitzkrieg? After the first war, when the limitations of the Treaty of Versailles came into effect, Hans Von Seeckt took over as head of the German Army, his first goal was to study the way the war was fought, to find strategy from both sides that was successful, and implement this strategy. Certainly there were private armies in Germany which allowed Germany to bypass its limitations and when Hitler came into power most sanctions were ignored, but the truth is, the limit to Germany’s military was actually advantageous. Without the limitations certainly Von Seeckt may have created the panels which studied how the war was fought, but the dead weight of over 100 years of Prussian Military theory would have hampered the innovations found. Of course there was still a great deal of Prussian strategy, but to be honest, that’s because they had successful strategy to begin with. All of this leads to my point. In the United States our philosophy was one of isolation for 170 years, the wars we fought outside of our borders, in many way directly affected us. Many of our military engagements however, were fought on our own soil. And most of the time, America was in a state of peace. Theodore Roosevelt, and James Madison both worked to ensure a strong military, but both presided over a period of peace. Our military today could use strategic cutbacks. I’m not proposing we take apart our military or cut pay or benefits. I wouldn’t suggest a withdrawal from certain areas of engagement until stabilization has occurred. What I am suggesting is that the world police itself, the UN make decisions towards international security, and the US make decisions for our own security. I want our nation to be strong, but strength does not require the most men, it requires the best men. Let’s form committees to explore our successes and failures in Afghanistan, to explore our enemies’ successes and failures, let’s build a military which functions more for the 21st century and less like the 1940’s. 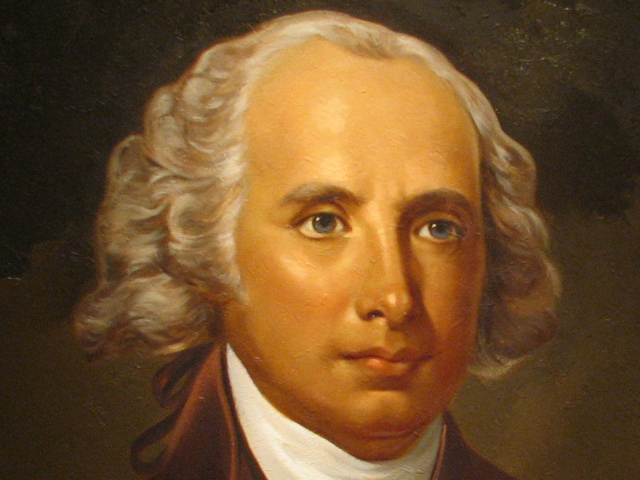 For those unaware James Madison was the man who wrote our constitution. Back in the late 18th century the idea of writing a constitution down (England had an unwritten constitution) was novel. It is ironic, the way we look at our founding fathers, these peaceful men in white wigs who used words to conjure up a nation all in agreement of what was needed and how each of their words were to be immortalized. Alas I wish it were so, but even in 1787 our nation was hardly unified. I won’t give you a full history lesson of the constitution today, though I may sprinkle in in bits and pieces throughout my blog, suffice it to say James Madison and the constitutional convention was a hotbed of merging political ideals. From James Madison, a follower of Jefferson’s Democratic ideals, to Alexander Hamilton a man who worked to give the federal government as much power as possible. Certainly there is a degree of unity in these men, having fought the revolution, and even Madison and Hamilton co-authored the federalist papers. In the end our Government was formed, a Democratic-Republic. You may here of the United States spreading democracy like young men with a brilliant idea that everyone should share, the irony is that The United States isn’t a pure democracy, nor was it meant to be. Our constitution was written to both give, and restrict the power of the federal government. We know many of the basic powers given in the bill of rights, daily we hear freedom of speech, freedom of religion, we here about the right to own firearms. These are only a few of the abilities prescribed to the people within the constitution, of course many forget the tenth amendment: : The powers not delegated to the United States by the Constitution, nor prohibited by it to the States, are reserved to the States respectively, or to the people.” Likewise in amendment nine it says: “The enumeration in the Constitution, of certain rights, shall not be construed to deny or disparage others retained by the people.” James Madison hadn’t thought it all necessary to include a bill of rights, after all isn’t the constitution itself a bill of rights? Our government was meant to protect us from the powers of parliament, and the rule of a king. James Madison thought it was pointless to say that we had rights not because they were not there, but instead because there are so many. Were it not for those first eight amendments, America would have surely become an autocratic power led not by a single man, but by a congress whose corruption would have given the vote only to their own body of government (see the Roman Republic). Sadly the next two amendments (9 and 10) are thoroughly ignored by our government. Certainly those in power can cite later amendments which are used to give the federal government the ability to do this thing or that thing. Thomas Jefferson has been called, “The first Libertarian” also, Theodore Roosevelt called him a “slippery demagogue.” Ironic isn’t it? Two granite faces next to each other for the rest of time, and yet so opposite in thinking? I do, however, think that if there were one thing Thomas, and Theodore would agree upon it is education. Today we talk about education reform almost as soon as education is mentioned. It’s as if nearly every American knows something needs to be done. I recently asked friends of mine what they would do if they were tasked with reforming education, and most people agreed: more money! Pay the teachers a higher salary, get the children more supplies, and make sure that funding is equal amongst all of the schools. I would have agreed with them six months ago, but you know, it’s not class sizes, and lack of tools that holds the U.S.A. down at number 16 on the list of education systems. We have failed to realize that education only meets a specific number of students’ abilities to learn, now, before you light your torches, and sharpen your pitchforks I ask you to wait just a moment. I am not saying that our children can’t learn what we try to teach them, I am saying it is the method. We need to find out what method each student learns best with, and teach them using those styles. I am not promoting pigeon holing students to one method or another, I am not saying our teachers don’t need an increase in pay, what I am saying is that I would have learned so much better had my teachers given me my lesson’s in alternative ways. I feel I would have done astoundingly better had I been given a single real world problem, then asked to find a solution using whatever materials I had available. I would have combined reading, practicality, testing, scientific method, and logic into my own lessons. That would not have worked for my foster brother, I won’t give you his name, but I see how my brother learns, and I think that if, given a set of schematics he could have figured out any mechanical issue much faster than myself. Now certainly there are things each student should know, and I am not an educator so I have only cursory experience. I am just saying that our education system has some fundamental issues, and I hope that those can be explored long before we decide that the best solution is simply money. Our second president is perhaps the most overlooked. 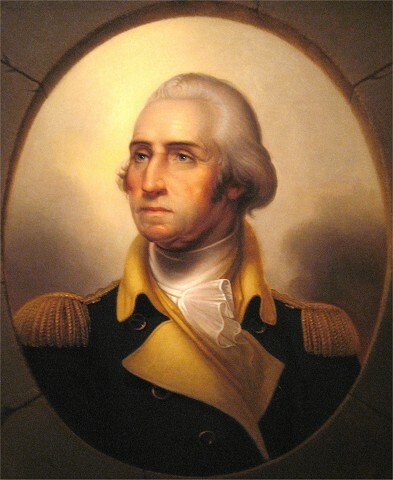 In his time, he placed George Washington as the commanding general of the revolution, wheeled and dealed to get the Declaration of Independence signed, used every ounce of his power to avert war with France, and then laid the foundation for the Louisiana Purchase. Yes, John Adams may be the reason you are today not paying taxes to the British government (no offence Brits, if you knew me, you’d know I love you!) but let’s be honest our Freedom wasn’t built on one man’s back. It was the persistence, and perseverance of three generations of father’s to found our Union. From Benjamin Franklin, who died not long after the election of our first President, John Adams, George Washington, and Thomas Jefferson, who fought for, wrote, and negotiated our independence, and to James Madison, Alexander Hamilton, and John Jay who wrote out constitution. These men, most who later became presidents, ambassador’s and elder statesmen (or statesmen who were killed before becoming elderly because of duels- I’m looking at you Mr. $10) The point is that our Nation came into being slowly, with guidance, and assistance from men, who, sadly we cannot now seek the approval of. What’s the point you ask? When asked to write the bill of rights, James Madison thought it ridiculous, how would it be possible for a government to restrict a person’s right, if in fact, the government never had that power to begin with. I am most thankful for Madison’s opponents requiring the bill of rights, and especially for ensuring it was Madison who wrote them. 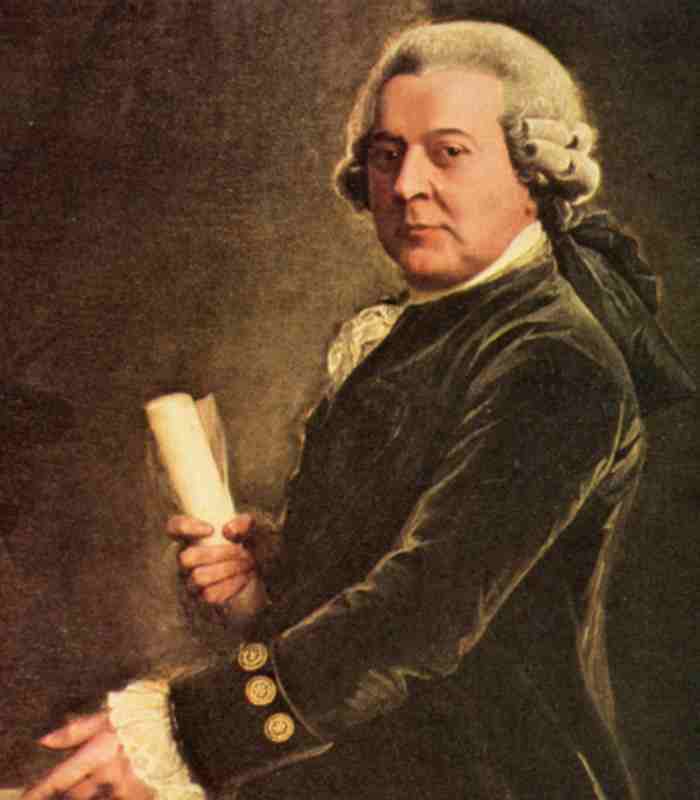 Sadly, poor John Adams is repenting, even now. The freedom he gave us, that Madison ensured to us, that Washington fought to bring about, that Franklin negotiated for us, it is well, and truly lost. (21 U.S.C. § 811)( 18 U.S.C. §1464) (12 U.S.C. ch.3). My point is that our government, when originally set up was never supposed to be there to restrict our freedoms, our federal government was meant to protect our freedoms from encroachment by the states. I am deeply saddened by the move from a government of freedom, to a government of restriction, and I think that many of our founding fathers would have been as well. government of restriction, and I think that many of our founding fathers would have been as well. It has now been 215 years since George Washington said this in his farewell address. It is ironic, the warnings, and encouragements our first president spoke of that still hold true. I was asked about my political thoughts the other night, and the people who know me, know that they are complex. I was at a loss to answer for a moment. When the average American asks where you stand politically, their question, or at least their desired answer is “Democrat, or Republican.” Certainly this makes sense, after-all, who votes for a third party? Washington never really considered himself a part of either party (at the time it was the Democratic-Republicans, and the Federalists) Our constitution never condoned the creation of a political party, but of course it was inevitable. If You and I want to ensure that Dogs become the standard service animal, and our opponent has a group of people firmly entrenched in his, or her, point of view, then why wouldn’t we build a political party? If it were inevitable, then why would our first President warn us that they are despotic? The truth is, if I tell someone that I am a Republican, they immediately assume I want to: tax the poor, end legal abortion, keep homosexual marriages illegal. They think that my goal is to cater to the rich at the expense of the poor, evangelize the White House, and a host of other positions they think are variously moralistic, or prejudiced. Likewise, if I say that I am a Democrat, well then I must be socialist, I should give the poor tax payer assistance, pay for National healthcare because I think it is their right. I should be enforcing a wall of separation between church and state, legalizing immigration because I think that there are masses of jobs Americans simply won’t do, and so, a work force from outside our country is required. I can’t blame them, people want to listen to the by-lines the media and alternating political parties give them, and assume they are correct. The truth of it all is I love the country we have for it’s freedoms, I love that we have a government, and I truly believe that both sides (for the majority) want to help make America better. I also think that America has a long ways to go to become the perfect country, that making America better requires the pain of forging it into steel. We can’t get where we want to be the easy way, and I wish more people could understand that. And that is why I am starting this blog. I want to get my belief’s out there, I don’t expect everyone to agree with them, and would love to hear more about other standpoints, but please, don’t attack someone else for the way they think, or assume that their political party is a manifesto of their beliefs.